A few days ago, MAGIC!’s song: “Rude” became the 30th video clip that passed 1 billion views on YouTube. This song has been published on 5 Dec 2013 and has now more than 3,334,000 likes and 156,000 dislikes. On the first position of this top 30 videos that have more than 1 billion views on YouTube is the first and (still) the only YouTube video that passed 1 billion views and 2 billion views: Psy’s “Gangnam Style” who has now 2,630,980,437 views (August 24, 2016). The second most viewed video on YouTube and the second YouTube video that will pass 2 billion views in a couple of weeks is the beautiful song from Wiz Khalifa ft. Charlie Puth: “See You Again”. This video clip has now 1,974,641,161 views (August 24, 2016) and more than 11,173,570 likes. Justin Bieber’s song “Sorry” and Adele’s song “Hello” are the latest song published on Youtube on the very same day: October 22, 2015, and have already 1,746,978,123 views (number 4 in this top) and 1,686,852,655 views (number 6 in this top) respectively (August 24, 2016). It has been almost 7 months from our last Top 20 videos that have more than 1 billion views on Youtube and almost 11 months since we published “The Only 10 videos in the world that have more than 1 Billion Views on YouTube Infographic“. 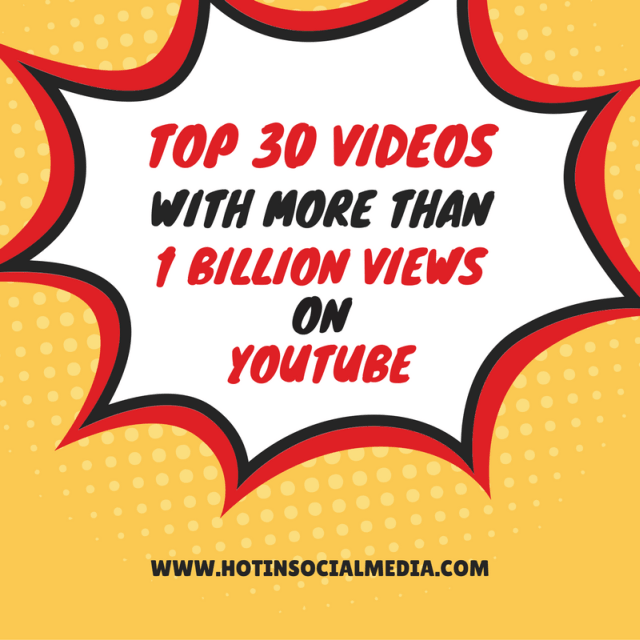 Check out the full list of the most viewed YouTube video clips in the world and add a reply with your favorite YouTube clips from this list.